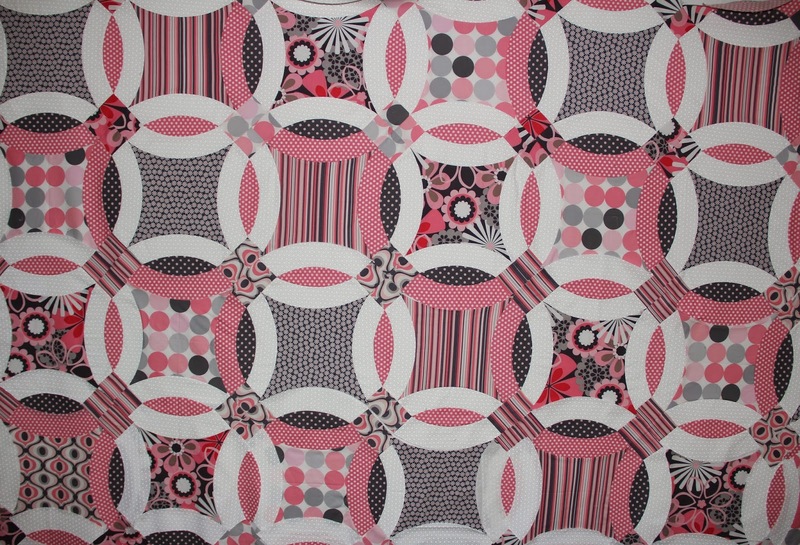 So, I haven't blogged in a couple of weeks and I thought I would give you an update on what I have been working on. 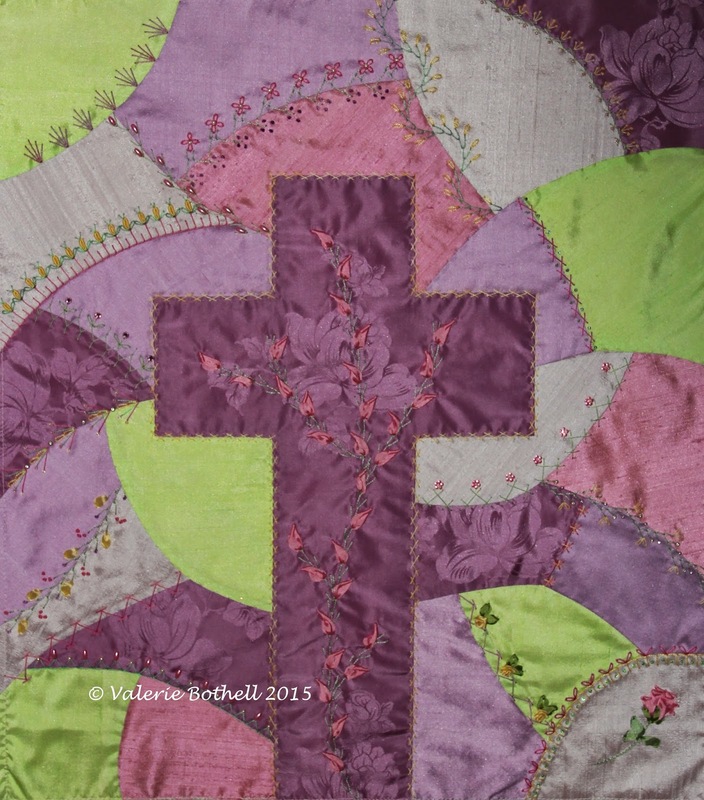 I have continued to work on my cross wall hanging and it is really shaping up! 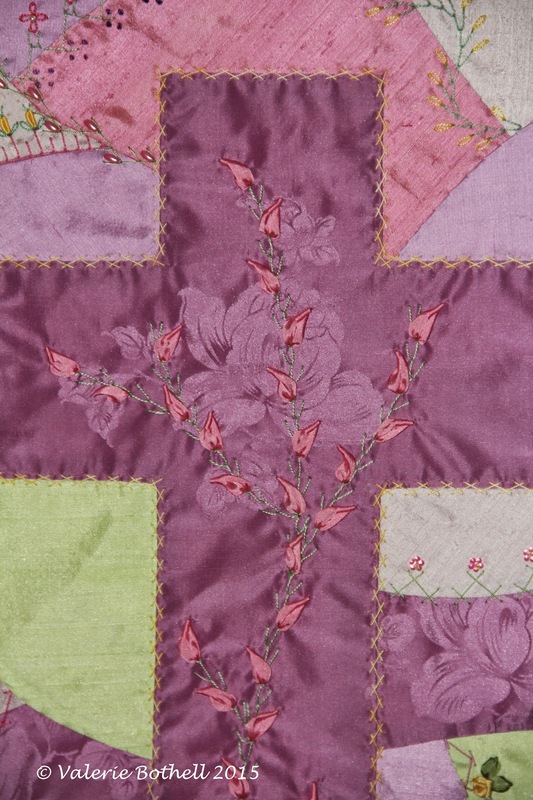 Here is a close up of the flowers that I did in silk ribbon on the cross. They are a bullion tipped lazy daisy and it is so much fun to do them with silk ribbon. They remind me of lilies which is what I was going for. 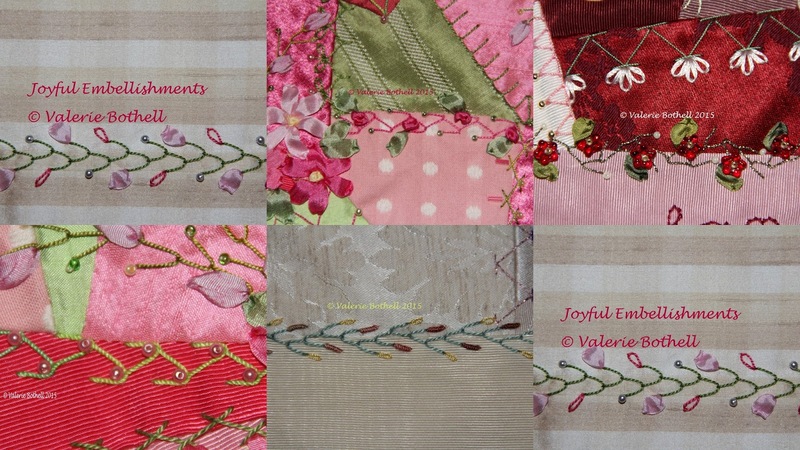 The Joyful Embellishment group that I started is going very well! We have over 400 members and I have been so inspired by all the work being done by all the members of the group. 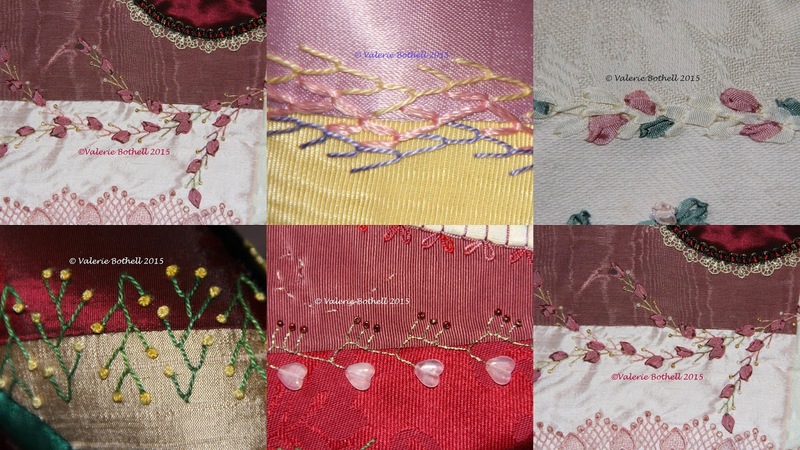 The photo above is a collage of the stitches we did on the third week and the photo below is a collage of the stitches we did on the fourth week. If you would like to join in, you may do so at anytime! It is never too late and this month we are working on 20 different variations of the herringbone stitch. At the end of each month, I have a drawing to give a lucky winner of the group some goodies and this month's winner was Robin Waybright!